August | 2015 | Between Two Tides. 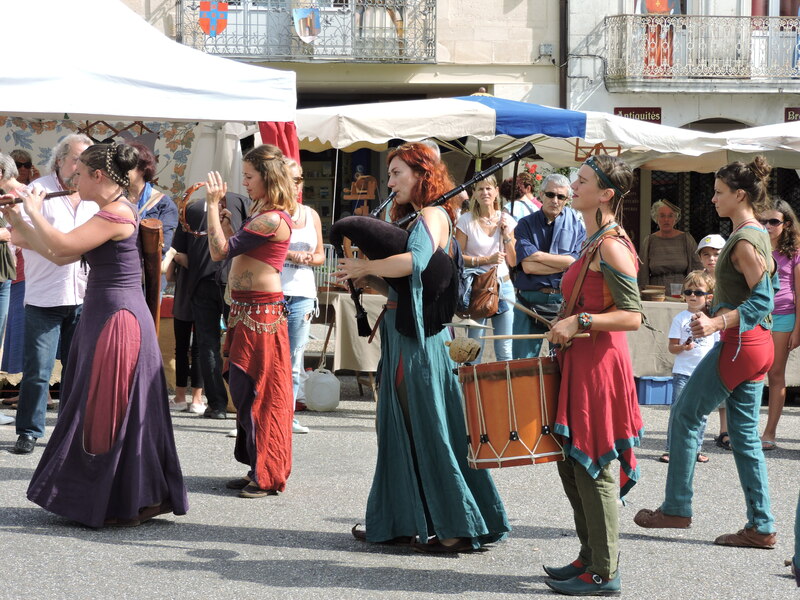 August is a colourful month of medieval costumes, mock battles between knights, and celtic music..
Travelling jugglers, acrobats, and troubadours pass through the Dropt valley, celebrating the historic ‘Bataille de Castillon’ of July 17th 1453. For almost two centuries english Kings had been in possession of half of France. That final confrontation between the english and french, followed by the surrender of Bordeaux in October of the same year, brought an end to the Hundred Years’ War (1337-1453). This victory retrieved french soil from the english forever. In a Marionette workshop, we fabricated our own dolls. 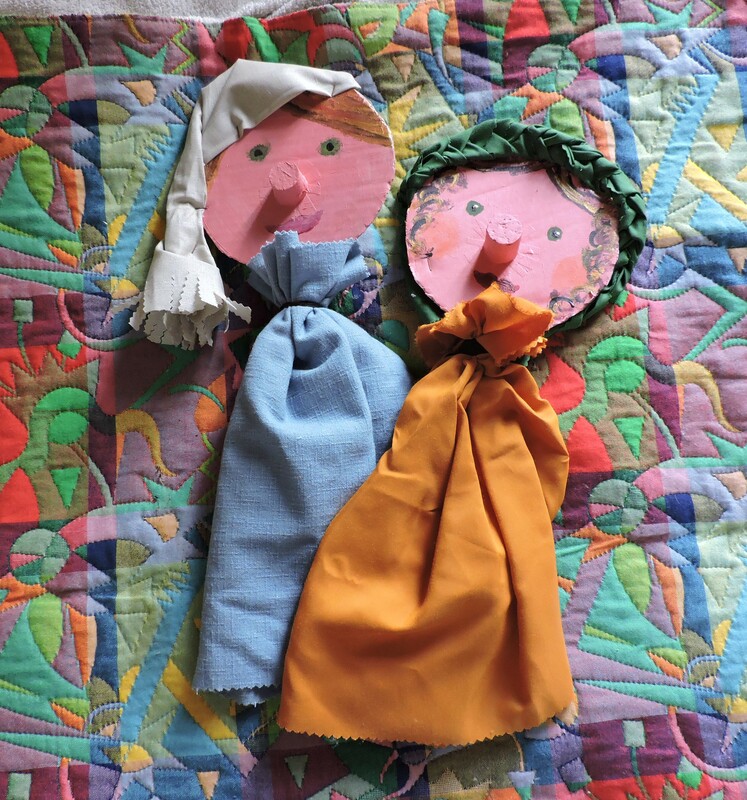 We learned that in medieval times children made play dolls in the image of Mariole/Marion (Virgin Mary), thus the root of the puppets name. 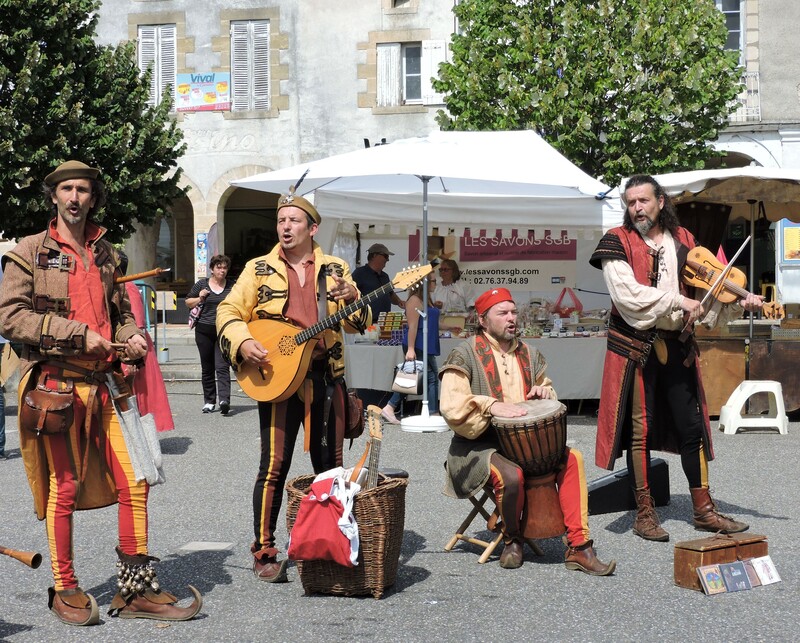 Between 11th and 13th century, Troubadours wandered the south of France, often singing love songs. and self emerges from I. The forests of France are expanding. Once upon a time, the forests of France were dense and dangerous. They were a rich source of food and firewood, but hostile to the people of that age. They were the ‘outside’, or ‘foris’ in latin, deriving to ‘forest’ today. Then, increasing populations, and ploughing of land for crops, brought about a vast enterprise of forest clearing. By the middle ages it was at its greatest, when wood was used for everything, and what forest remained was exploited for grazing and fuel. Only two hundred years ago, 8 million hectares of todays forest was degraded, and the government recognised the need to reverse problems of soil erosion. For purely ecological reasons, a new ‘Code forestier français’ (forest law) was introduced in 1827. Its aim was to protect living forests, and replant those lost. Despite setbacks during the years since, such as storms, droughts, fire and disease, the forests of France have doubled in area, and quadrupled in density. As farmland has been abandoned over recent years, spontaneous regeneration has taken place. 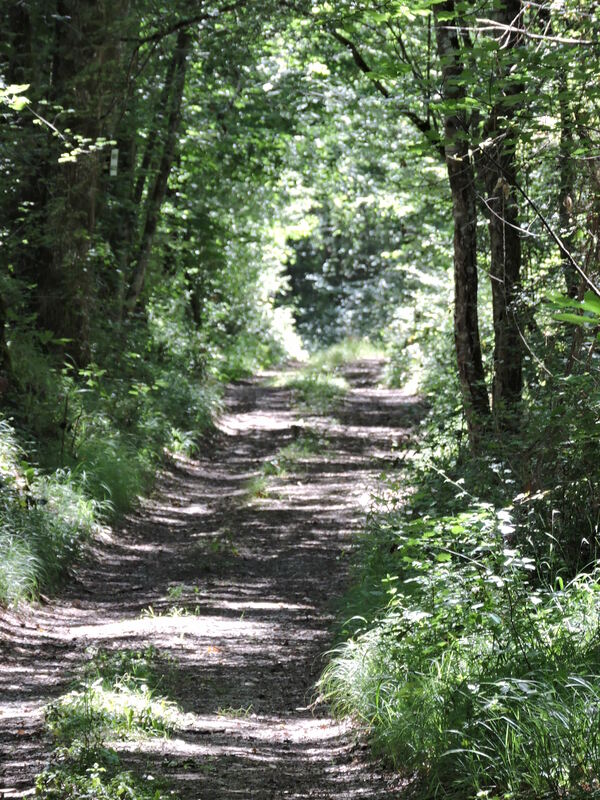 Today there are 14 million hectares of forest distributed throughout France. 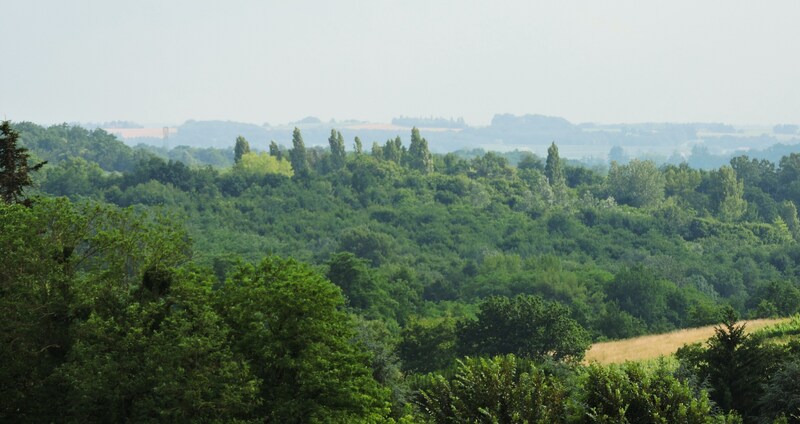 The largest areas of reforestation lie in the Massif Central, Brittany, Provence Alps, and here in Aquitaine. Species are varied, oak being the predominant, then beech, hornbeam and chestnut. Fir trees grow in the Vosges mountains, and pine along the coast of Aquitaine. The once hostile ‘outside’ has become a treasured necessity for all. We recognise its importance in the hierachy of the eco system, for its community, and not least, its social, and psychological benefits for human wellbeing. NB. Redrafted extracts of a Corporate Document, written by Jean Gadant, for the Food and Agricultural Organisation. A strategic situation on a high bank alongside the wide, fast flowing Garonne meant that she could control the river crossing, as well as utilise it for trade transport. With tax exemptions granted by Richard, she accumulated wealth and prestige. She was second only to Bordeaux, and her golden age lasted a millenium, despite regular conflict between the monks, bourgeois, citizens, and Kings of England and France. 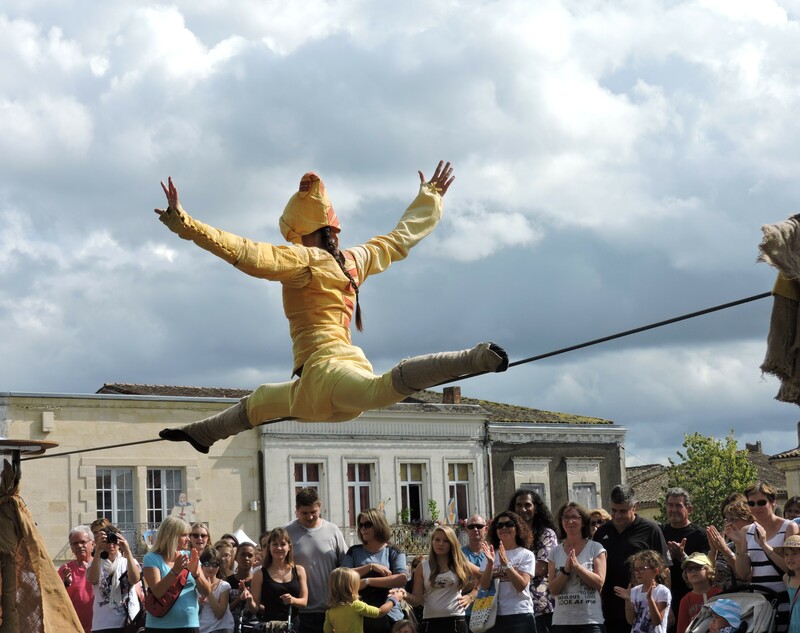 The industrial revolution brought important changes, opening up the interior of France by railway, and connecting the Mediterranean Sea to the Atlantic Ocean by the canals, Garonne and du Midi. Cargo boats stopped at her port to load goods such as wine, dried prunes, and wheatflour for export from Bordeaux, and on their return bringing spices, sugar and rum. She kept up with the times bringing much work at the port, railway, and in a large tabacco factory producing cigarettes to sell nationally, and overseas. Modern times arrived, and roads displaced the railways and canals. Trade markets changed. Her wealth went elsewhere. She took a back seat in the scheme of things, became an aged, forgotten, and forlorn town. Dust settled, and cracks appeared as she slept. But as a sleeping beauty, a kiss rejuvenates. 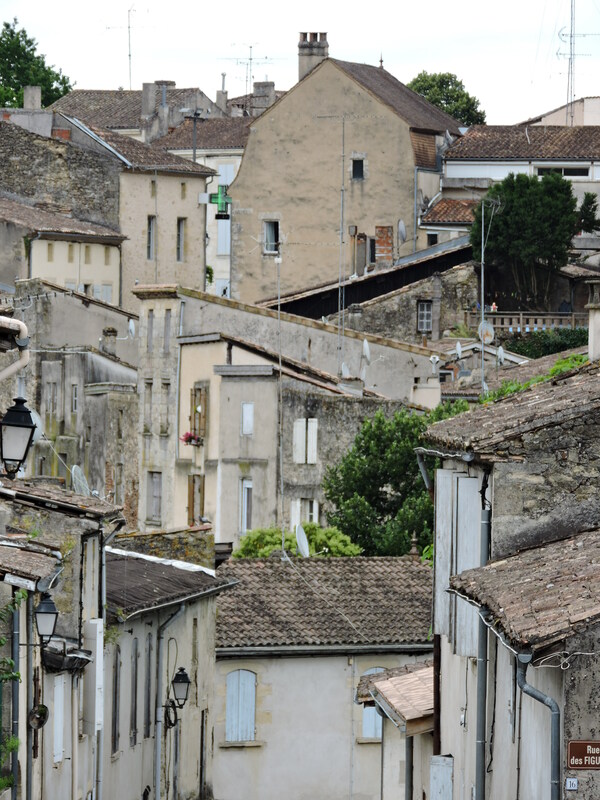 Recognising her heritage to France, urban restoration is commencing with government funding. Over the next few years she will awaken fully, revitalise, and she will be beautiful again. 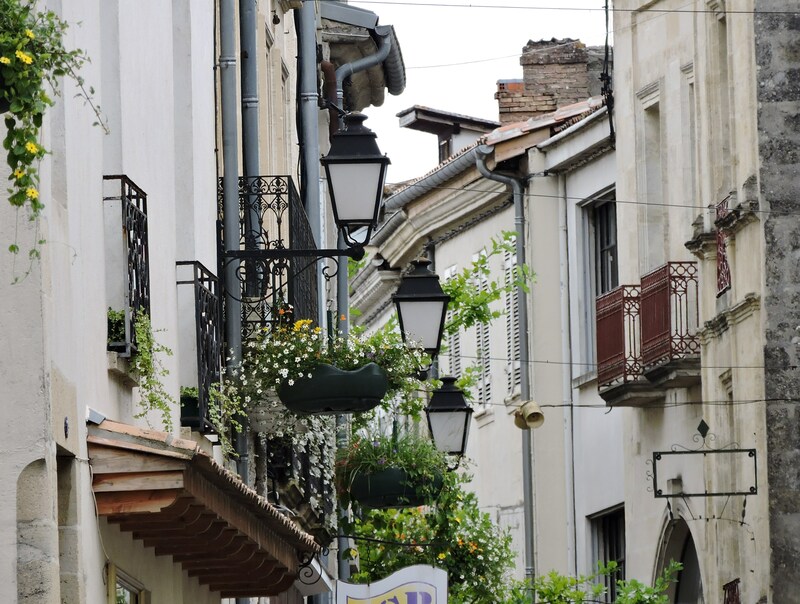 Balconies and flowers of Rue Armand Caduc; main shopping street.